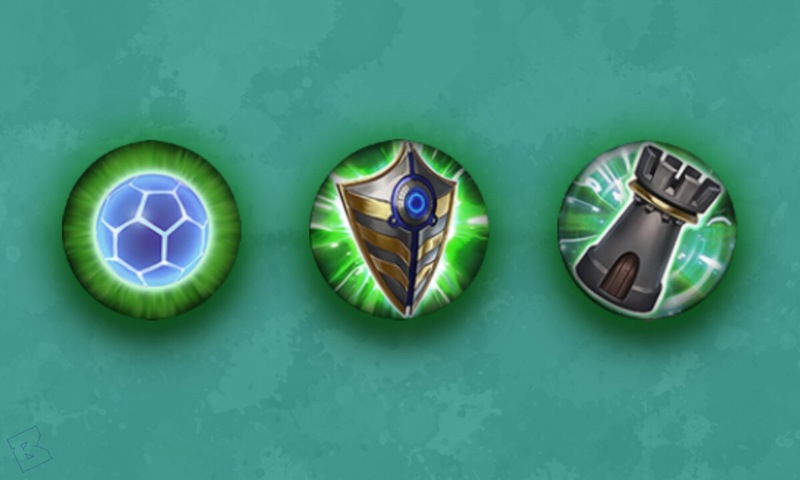 With Update 3.4, the way items can reduce ability timers in Vainglory has been significantly changed. On the surface, this is apparent in changes to the numeric scores granted by cooldown items and the addition cap on how much abilities can be accelerated by. However, there is a much deeper change here that may be glossed over when reading the update notes. 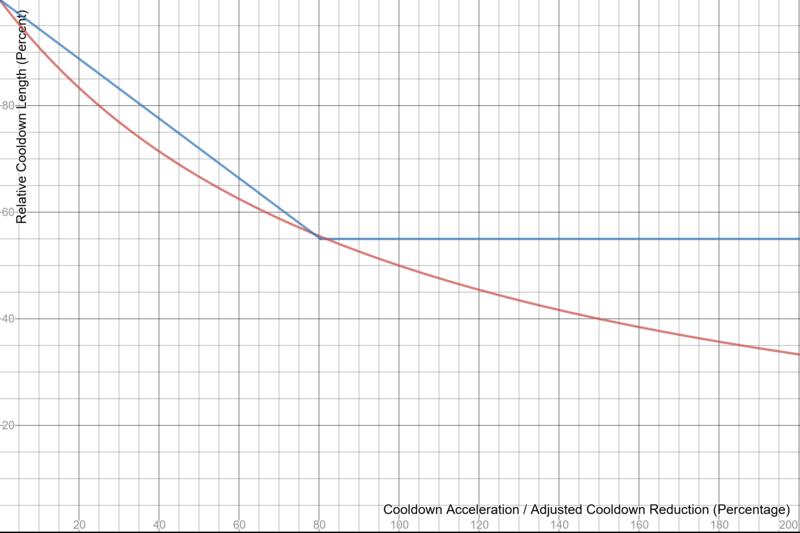 Cooldown acceleration has been replaced by cooldown reduction across the board. This may come off as an rather innocuous or semantic change, but this completely changes the way that multiple cooldown items scale and react with one another. 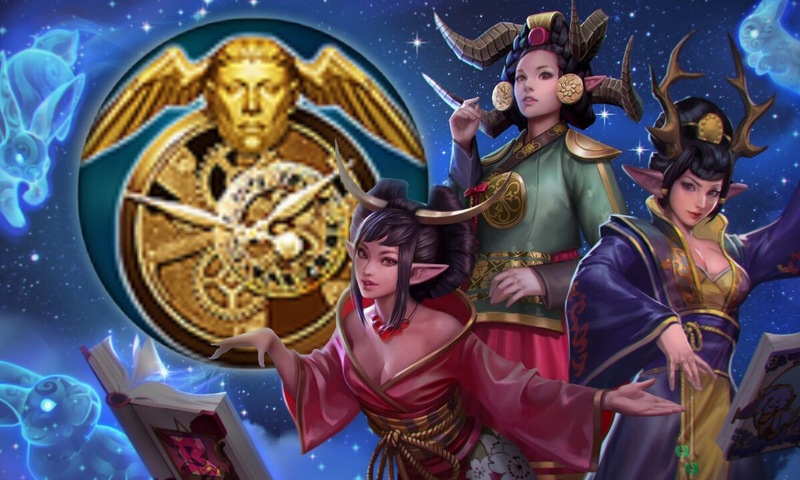 Up until now, Vainglory has used a system called cooldown acceleration (CDA), which differed from the more common cooldown reduction (CDR) found in traditional MOBAs. When working with cooldown acceleration, it’s important to know that each additional percent of CDA gained reduces the cooldown by less time than the previous percent that CDA did. This is because CDA is multiplicative, and its effect on an ability cooldown is asymptotic toward zero. In less fancy words, CDA starts to reduce cooldowns very quickly early on, but as the amount of CDA increases, this effect slows down. Because of how CDA is calculated, you could have 100% CDA, and you would have only halved the cooldown. At 200% it’d be a third, at 1,000% you’d be close to 0, and at 10,000% you’d only be slightly closer to 0 than at 1,000%. No matter how much CDA you have, you’ll never reach a cooldown that is 0% of its original length (ignoring the limited precision that CDA is calculated and rounded to in Vainglory). If you had a 10 second cooldown for an ability and an item that provides 15% CDA, then your ability would be reduced to 8.7 seconds (by 1.3 seconds). If you had another item that has 15% CDA, then that ability would be reduced further to 7.7 seconds (by 1.0 seconds). 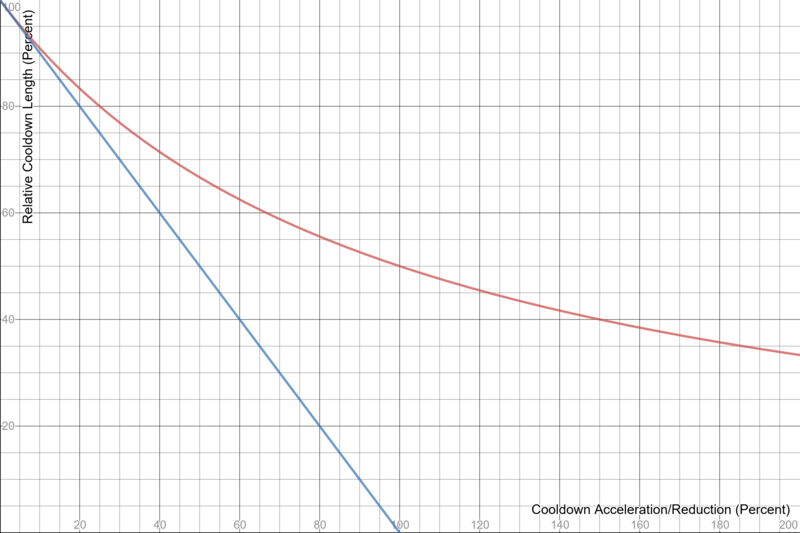 With cooldown reduction, calculating the reduction to ability times is straight-forward and intuitive. If you have a 10 second cooldown for an ability and an item that provides 15% CDR, then your new cooldown is reduced by 1.5 seconds (15% of 10 seconds), to 8.5 seconds. Incredibly intuitive to calculate. With additional items, the scaling is just as easy. If you were to buy another item with 5% more CDR, then that ability would be reduced by 20% to 8 seconds. 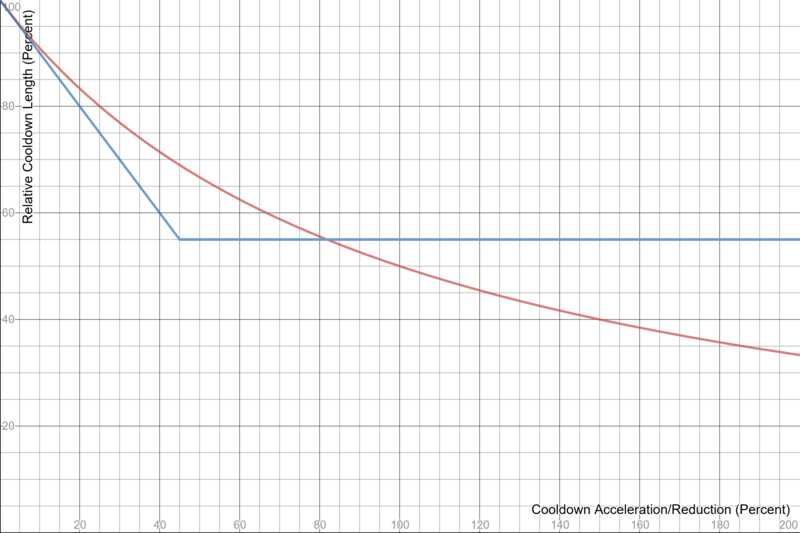 Cooldown reduction is additive — each additional point reduces the cooldown by a consistent amount. The effect of CDR on ability length is a line representing a linear relationship. The effect of CDA on ability length is a curve representing a logarithmic relationship. In terms of numbers, CDR scales far quicker than CDA. This is why all cooldown items received some number adjustments. Without adjustment, a single Clockwork (which used to have a CDA of 35%) would bring cooldown length to 65% — which previously would’ve taken about 50% CDA or a Clockwork and Halcyon Chargers. This would get even crazier the further you go. Two Clockworks (70% CDA) would’ve reduced cooldown length to 30%, which previously required 6 Clockworks and a Crystal Infusion (at level 12) to achieve. Thus, this necessitated the re-balancing of cooldown numbers to accommodate the change. Most items were slashed by about ⅓ or ½ of their previous value, reducing their effectiveness (when by themselves) by about 94% on average. Out of all of the items, Contraption seemed to fair the best and was brought to the same level as Clockwork and Spellsword, despite previously providing less cooldown. While effectiveness of single items was slightly nerfed, the more items you’re stacking the better the comparison becomes (until 45% is exceeded). In fact, two sets of items received a slight buff. The combinations of Contraption, Halcyon Chargers, and either Aftershock or Nullwave Gauntlet are both 7% better (in terms of cooldown) than before. Because of how much better CDR is at scaling with multiple items, a hard cap was placed on how much an ability’s cooldown could be reduced by. 55% of base is the lowest that a cooldown can become from CDR alone. This means that after achieving 45% CDR, additional CDR is wasted. Here’s the modified graph with the cap taken into account. Finally, when you adjust CDR to match the frequency of CDA (there’s about 56% as much CDR as there was CDA), you get a picture of what the new power curve of CDA looks like in Vainglory. It matches pretty closely to the old one. The Vainglory Update 3.4 cooldown changes may paint a picture of a massive nerf to cooldown-reducing items from a numeric standpoint. Instead, this is primarily done to compensate for a massive change in how cooldown is calculated. As a whole, the switch to cooldown reduction is a only a very slight nerf to cooldown items and represents a much simpler and intuitive way of calculating cooldown calculation going forward. I'm a news and eSports writer from Broken Myth and, of course, a Vainglory player. Add me in-game as Jackaloupe. I frequent /r/VaingloryGame and can often be found on Twitter or at the Vainglory Forums.